This drinks cabinet is very elegantly designed. 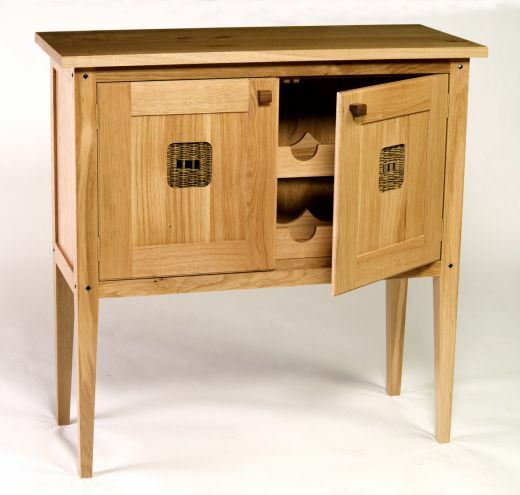 Using the phrase “The devil is in the detail”, this piece of furniture certainly adheres to this. 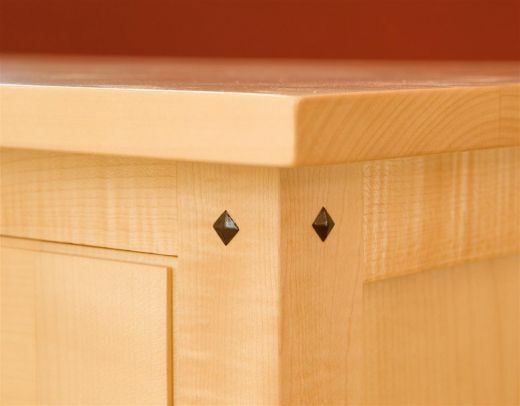 The cabinet is supported with four tapered legs, each with ebony diamonds inserted into the corners. The willow panel’s gives a country feel to the piece, but with the clean, crisp uninterrupted edges this contemporary cabinet will act as a centre piece for any room in the house. 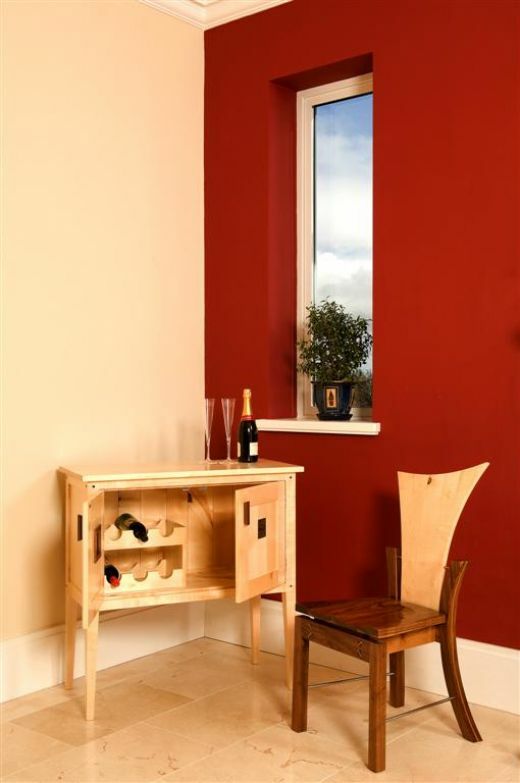 Having a loose wine rack inside, storing six bottles of wine this piece can become very versatile.